Sooooo…you think you’re interested in giving this salad gardening a try. Maybe you don’t have a lot of space outside for a garden, or you’re not that interested in digging up a big chunk of your lawn. Don’t worry! You don’t have to. 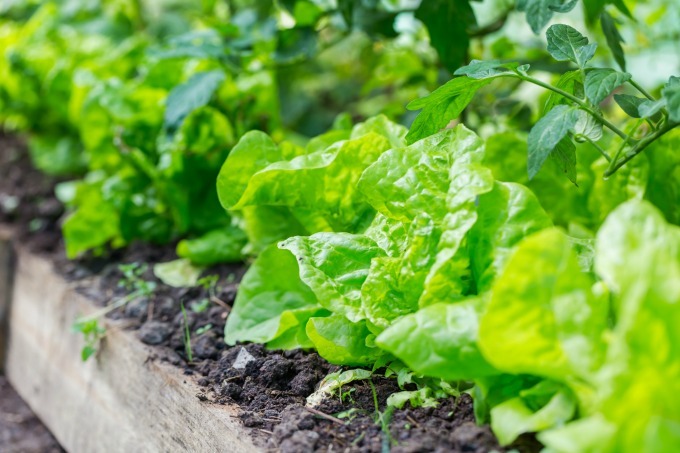 To grow lettuce, you don’t need a lot of space or soil. Best of all, you can do it on your deck or patio, or inside on your kitchen counter or in a sunny window. The nice thing about lettuce is that most varieties grow fairly fast. Lettuce also tends to grow well in moderate temperatures. Like those temperatures that most of us keep our homes at. As long as you find a nice sunny spot for your lettuce, it should do fairly well.